Since selling my trusty facelift EJ9 (1.4) Civic to buy an FC3S RX7 Turbo II convertible back in 2011, my car ownership history could probably be described as “impractical” at best. 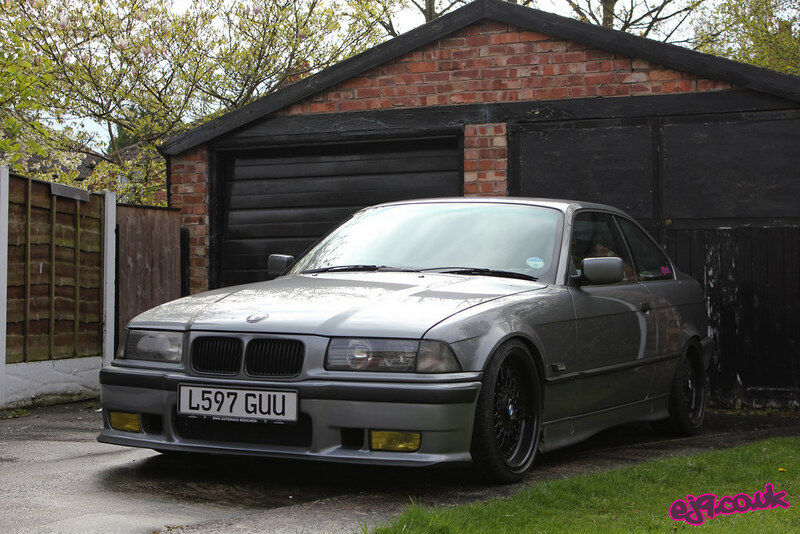 From an E36 that followed to two S13s, a short-lived S14 and then the Y32 Cedric and C33 Laurel that both remain with me to this day, all were modified by me in a way that, at the time, I thought to be “correct”. It is only since buying and modifying my 26-year old, slightly rusty and really quite slow P10 Primera that I have started to think back to those past and current builds and really wonder why I chose to follow the modifying routes that I did with them. My first S13 was a mechanical learning curve to say the least, for which I am extremely grateful for its existence. It ended up slammed into the ground before finding itself in the Driftland bank. The PS13 that it was reshelled into was built with less focus on low ride height and an increased determination for drifting performance, complete with solid mountings throughout and various other items that I deemed to be “essential” at the time. In hindsight, it was these parts that made the car entirely unpleasant to live with day to day; a key factor as it was my only car and daily driver at the time (but it was great to drift on track, no doubt about it). Oh, and it was also ten (maybe) different colours. My C33 landed from Japan as a perfectly usable and enjoyable car, so obviously the first thing I did before it even saw the road was fit wider wheels with stretched tyres and a body kit (D-MAX or Final Konnexion, depending on who you ask) that sat so low that even the smallest of pine cones on the road would give the front bumper grief. In fact, I remember having to do a three-point turn on a country lane in the dead of night and both bumpers ripped off simply due to the camber of the road. I can laugh at it now but, at the time, it really made me begin to question my priorities in life! My Y32 was entirely practical with the addition of coilovers and some conservative fitting wheels early in my ownership (and took daily life in Birmingham in its stride) so, of course, I decided to switch things up by relocating the loom into the engine bay and hammering the life out of the front upper chassis legs and rear arches with the desire of fitting some WORK Meister wheels that really shouldn’t have fitted under the stock metal. Just like that, the car was destined to never be the same again. You might have begun to notice a running theme here: cars that could have been (and at times, were) entirely useable but, due to my efforts to push the builds further, I ended up sacrificing user-friendliness and, subsequently, lost a lot of love for said cars. I definitely don’t think I’m alone doing this in this. How many times recently have you seen someone build a car to a “dream spec” only to break it (translation: part out, for the non-UK readers out there) less than a year down the line? I would attribute a lot of this mentality down to rise of the aftermarket car scene on social media. 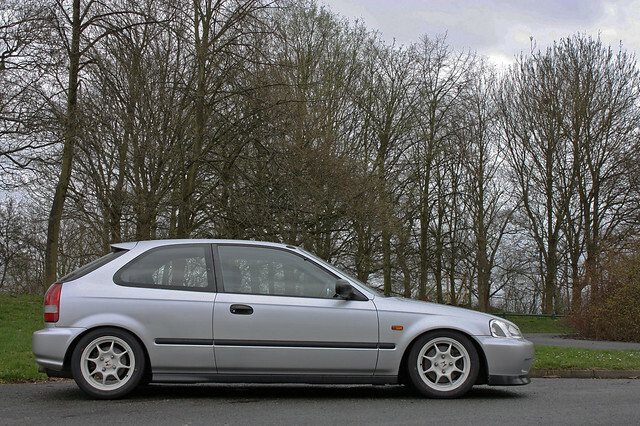 If your ride height isn’t as low as it could be, you can be sure that someone is going to let you know online. Is your fitment not quite tight enough? Then you can be certain that a couple of guys on the other side of the world are going to berate you for it. It’s so easy to tell people to ignore such comments if you’re happy with your build (“bUiLd YoUr CaR fOr YoUrSeLf” they say) but, in reality, it’s much easier said than done. People can’t help but feel the pressure every time they take a scroll through their social feeds. We’re all guilty of it; perhaps it can be labelled as subconscious peer pressure, perhaps in the same way that travel v/bloggers ramming luxury resorts down our throats with fancy photos makes us want to book an overpriced holiday. You might be wondering what all this has to do with a 26-year old FWD family saloon car of mine. In short, I bought the car for two reasons; my friend had one that was awesome to drive, and I wanted to have a go at some track (grip) days. I had so many wild plans in my head (mainly involving tucked 19″ centre lock wheels, an extreme roll cage, you get the idea…) and couldn’t wait to get started. When I picked up the car and took it for a few drives, most of these plans were instantly forgotten. I live in an area surrounded by fantastic country roads and, for the first time in as long as I could remember, I now had a car that I could enjoy them with. The tiny 14″ tyres scrabbled for traction at anything above 40mph and the rev-hungry SR20DE loved to be thrashed for hours on end without a sign of protest from the water temp gauge. During this honeymoon period, I’d started to question what I really wanted out of my passion for cars. Did I want to the satisfaction of completing some great builds? Did I want to take drifting more seriously and maybe get involved in some competitions? I’d honestly begun to feel a bit lost but, my mind became clearer the more I drove this cheap and cheerful saloon car: I simply enjoyed driving. I enjoyed driving on fun roads in a somewhat raw car, and that I found the most pleasure in driving a challenging road three or four times a week on my way home from work than I did scraping money together and pouring all my spare time into trying to attend a circuit-based event once every month or two. As a result, my build focus shifted and I stuck to dealing with the essentials in the pursuit of simple enjoyment. 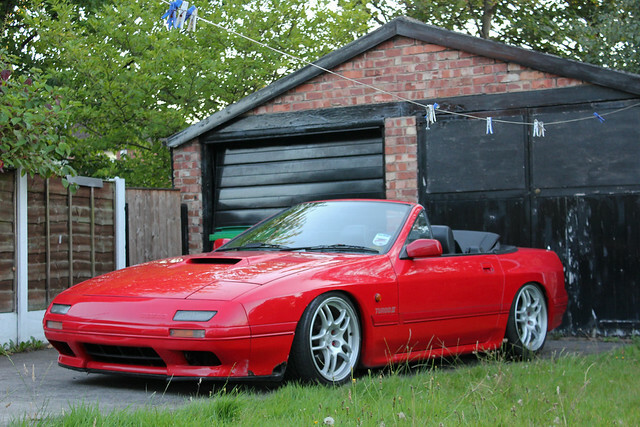 Coilovers, wheels with good tyres and a bucket seat were all deemed absolutely necessary and, since I posted my last build update at the end of March, I’ve driven thousands of smile-inducing miles without barely having to lift a finger (with the exception of essential maintenance, of course). I’ve driven hundreds of miles at a moment’s notice and even filled it to the brim with DIY supplies when I had no other car available, all without a single complaint. In comparison, driving my C33 after the P10 always felt like an anti-climax. Sure, it’s a hell of a lot faster in a straight line than the Primera but it instills absolutely no confidence or enjoyment in the corners, while the typical maintenance woes of a 90s RWD turbo Nissan have plagued it over the last few months. If I wanted to get somewhere in a hurry (or even just in once piece), the Primera would always win the “which car to take?” debate in my mind. Anyway, all this talk of long drives is great and all but, after a long summer of daily enjoyment it was time to get my act together and finally get the P10 to a track day. I booked on to a Javelin event at Anglesey, which left me with a few weeks to get the car in order. Naturally, I left almost everything until the week before the event. I managed to swap out the obnoxiously loud 5zigen system for the Powerflow setup from Mat‘s old car (now belonging to another local driver, Jamie), which was essential if I had any desire to meet track noise regulations. The front brake discs and pads were also beginning to show signs of defeat due to plenty of spirited driving antics, so I swapped out the OEM calipers for a pair of S14 items (fitted with Ferodo DS2500 pads that I frantically ordered) and drilled & grooved S14 discs with the help of P10 guru and hoarder Jimmy. After a quick bolt check, I stripped out some unnecessary interior parts (the passenger seat and rear seat bench assembly weighed in at just over 32kg) and packaged the car ready to head to my first track day at Anglesey. 326POWER Helmet Bag looking posh. Following an uncomfortably early alarm call, I picked up the Primera and set my sat nav for the picturesque North Wales venue, meeting up with Jamie and Nailz (Renault 5) on the way. After grabbing a pit garage along with the aforementioned Jimmy, we got unpacked and headed for the drivers briefing (side note: hosting drivers briefings inside a circuit cafe during breakfast is just the best). Thankfully, I have drifted at Anglesey a number of times in the past and so was familiar with the circuit layout, which was a big confidence booster going into the first session. While I was fairly comfortable with finding the right lines, what became immediately apparent was that I had never had to stamp on the brakes properly (aside from the odd emergency) in any car before, and so I found myself almost nursing the pedal out of habit when heading into corners. After my first session I hopped in the passenger seat of Jamie’s car and, while this was also his first track day in his Primera, he is a very experienced circuit driver with years of experience in his previous XR2 Fiesta and DC2 Integra builds (check out his on-board footage from this particular day here). Being sat in a car with the same suspension, tyres and brakes as mine made me realise very quickly where I was going wrong, as Jamie wrung every last drop of performance out of his car, casually explaining where he thought I might be going wrong while bouncing his saloon car off the rumble strips. This experience proved to be invaluable and, throughout the rest of the day, I became more confident and continued to make improvements to my driving. Coming from a drifting background, it almost felt bizarre that we could hang out in the pits while letting the cars cool down before simply heading back onto the track for another 20 or 30 minute session (without any queues) whenever we felt like it. I was putting around 20-30 miles on the clocks with every session, minding my own business and finding my groove. While it was slightly unnerving to be hammering down the back straight only to have a brand new McLaren go hurtling past you like you were standing still, the wide array of cars present made it fun to see how your pace compared. There were some quite serious cars in attendance, including an almost new BMW 1-series on slick tyres and with a very serious roll cage (more on that later) that was rubbing shoulders with the usual 911 GT3s and Cayman GT4s. Of course, there were also plenty of Caterhams and Clio Cups taking part, along with a few wildcards such as an Alfa Romeo 156. After covering around 140 circuit miles and using up slightly more than a tank of fuel, I called it a day as the 5pm curfew (and rain) approached. Other than my wheel nut spider wrench, I hadn’t needed to touch any of my tools all day long. 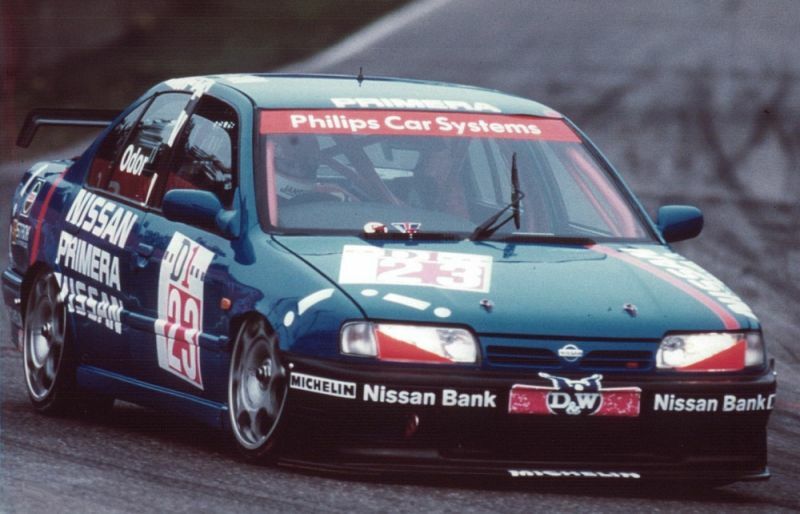 Aside from checking wheel nuts and opening the bonnet to check fluids after each session, the Primera had wanted for nothing and took the entire day (including the drive to and from the track) in its stride. While I still stand by my opinion that nailing the perfect clutch kick & flick initiation, running a concrete wall and drifting inches away from your friends is about as much fun as you can have in a car, the realities of the sport (constant maintenance, limited seat time, frequency of damage etc.) are what can detract all too easily from the enjoyment of pulling off the perfect run. And, while I was nowhere near to reaching the limits of my P10 at Anglesey last Tuesday, I had so much fun enjoying the seemingly endless seat time to thrash the car and experiment with just how late I could brake that I didn’t really care.